Through the active efforts of local distributor, our digital portable veterinary ultrasound machine ( BW560V) and veterinary color Doppler ultrasound system (BC400V) emerged in the tender of the Philippine Ministry of Agriculture and won the bid at one stroke at the beginning of the year 2018. 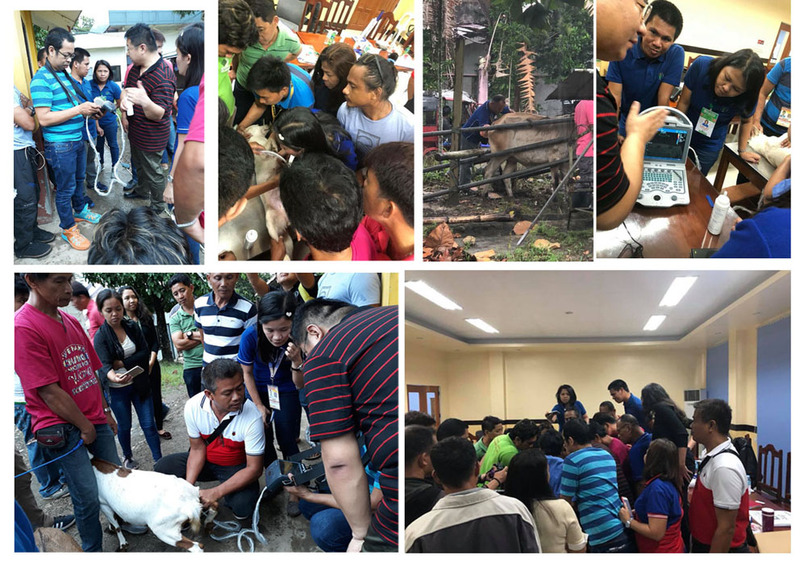 At the invitation of the local distributor, our company arranged for professionals to go to the Philippines to conduct veterinary ultrasound application training. About 30 professional veterinarians attended the conference, at which the basic theoretical knowledge and clinical application of veterinary ultrasound were introduced in detail and some tests on dogs, sheep and cattle conducted. The numerous user-friendly designs, rich software features, and excellent image quality of the winning products have deeply attracted them and all of them have shown great interest in these products. After the meeting, they discussted about a further in-depth business cooperation. In the future, Bondway will provide dealers with more pre-sales and after-sales support and market protection to jointly expand this great potential market.